Online course. Access 12 months. The CompTIA Security+ certification is considered the benchmark as far as best practices in the IT security field is concerned. Considering the importance of security in not only the business world, but our daily lives as we spend more and more time online, this is quite an achievement. CompTIA Security+ will teach you how to ensure that a network is secure, how to detect and deal with security threats, identify vulnerabilities and cryptography (the writing and solving of codes). The acquisition of the Network+ certification will mean that you have a superior understanding of various security- and networking-related matters. This will ensure that you become a sought-after IT professional seeing as the need to fill security related positions with qualified and skilled workers keeps rising along with the need for organisations to have an online presence. Security threats could have a detrimental effect on any business, as the information stored on their networks can be of a very sensitive nature. Therefore, certified security professionals are far more likely to be considered for a position than an individual that has not gained a certification. The CompTIA Security+ course deals with specialised IT security skills and requires the passing of one exam to earn the officially recognised CompTIA Security+ certification. 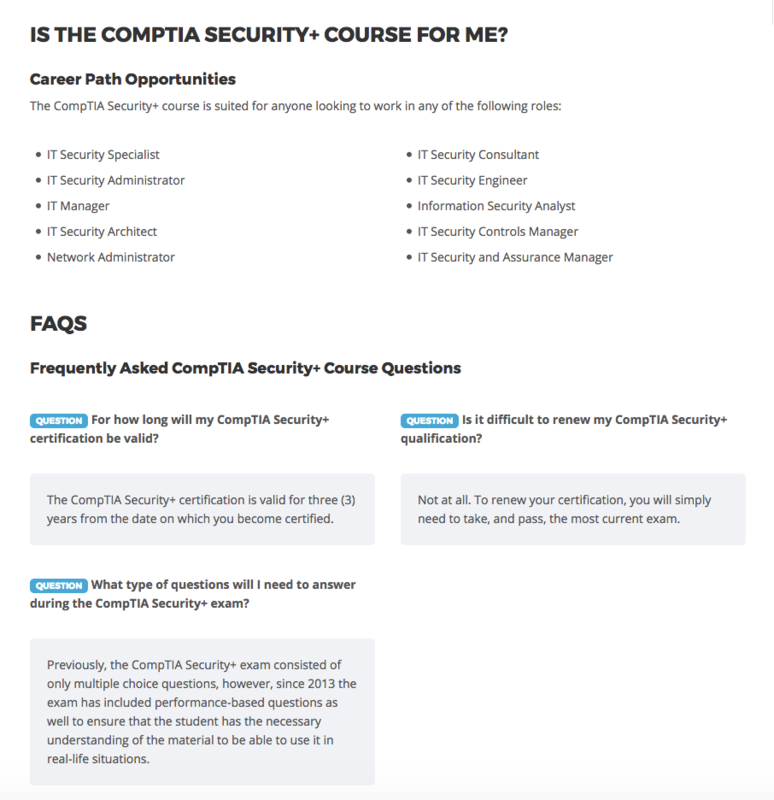 Although there are no formal prerequisites, it is recommended that you earn your CompTIA Network+ qualification before studying the CompTIA Security+ course.